I received the 300 coin purchase - thank you - the coins were great. I want to order a larger quantity of coins this time. My intention is to keep a few nice coins and sell the rest on E-bay and make more money. I am looking at picking up1500 to 2000 coins with good variety for now and will order more as I am very happy." Two things: One, I contacted you today about 3 orders... and of course received them all today! Thank you. Second, I sent another order for another 1000 coin lot. I would like to change this and make a down payment on 1,000 of the Higher Grade and More Silver Bargain Box. I will mail the balance on this in the next several days. The higher grade bargain box has some great stuff! In fact, all the coins I am getting from you are great (from 4 other orders that came in last month). I referred you to a friend, who put in an order for 1,000 of the bulk lot coins also, and after he got them, he told me that he is glad that I recommended you. Thank you for your order. One thousand coins have been pulled at random and placed in your name. It is difficult to say which wholesale lot is better than the other, as we get many repeat orders on all of the different denominations. Since the coins are pulled at random, different people find different things, depending on how many variety-resource books they have or their knowledge of coins. One of our eBay customers found an 1864 SM Two Cent piece, and another found a 1936 Double Die Cent. Yet another customer found both a 1900-O/CC Dollar and a 1946 Walker with a double die reverse, in a mixed lot of 5,000 coins. These cost just a few cents to just a few dollars per coin as they were mixed in with more expensive and less expensive coins. Apparently, the more a customer orders, the better their chances of finding coins that we simply don't have the time or employees it would take to examine each and every one... Of course, we can't guarantee such finds in each and every smaller group, as we buy and sell thousands of coins each week in huge lots. Thus, it's impossible to tell what will "pop up" next in any of these. In order to keeping earning the high volume of repeat orders we get for these, we throw enough "high valued coins" into these lots to make sure that each group is worth at least the low wholesale prices we ask for them, and in some cases, a whole lot more. A repeat of our most popular sell-out!! Over the past three months we sold literally over 100,000 of these bargain box coins from our advertisement in the Beverly Hills Coin Club's annual publication, Rare Coin Magazine – and have the invoices to prove it!. Collectors, investors, Flea market dealers and eBay dealers have sent us many repeat orders and some continue to break these up as single coin offerings, selling many of from $30 to $150 each! Due to overwhelming demand, we have just negotiated the consignment of four more massive inventories from dealers in California, Texas & Florida. Now our vaults are overflowing and we have priced these coins to move, because we just don’t have the space! These coins must have been hoarded by old timers who loved varieties, because in spot checking samples from each group, we found not only a lot of “S” mints, but occasional unlisted “double Liberty” coins, overdates, double and triple struck mintmarks in just about every U.S. series including silver dollars! Sorting, sifting and researching rare varieties would take a lifetime, so we don’t know if many of these unattributed coins are worth $25 or $5,000+. Some may be extremely rare or unique. We’re just going to scoop them up and wholesale them out just as they come. No two lots are alike with minimal duplication in each lot!! At these low prices, all lots are sold as-is but just to make sure we increase your satisfaction, we add more solid values by throwing in a few high priced coins from our inventory to make sure that each order retails for about 50% more to twice our low prices. At these low prices, you’re bound to be as satisfied as the dealers & investors we sent sample shipments to in early December. Some have already sent larger re-orders–twice! 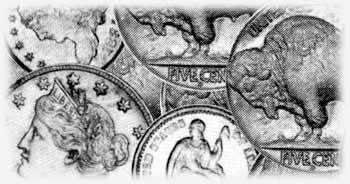 It’s hard to go wrong when old guaranteed-genuine coins start at a few cents or few dollars and go down to as low as 19 cents each. Two Fascinating Groups to Choose From - Buy from one or both. We have just traded $140,000 worth of our more expensive coins, ranging from $10,000 to $40,000 each, to Beverly Hills Numismatics, who prefers to sell mostly higher price coins. They in turn gave us their entire inventory of "lower priced bargains", the best of their "keepers" from several estate purchases, in which they had to buy all the "$5 to $500 coins" in order to acquire the $10,000 and up coins in those estates. In all, they traded us 120 boxes of beautiful and fascinating old U.S. coins, mostly 50 to 200 years old. As would be expected from any older dealership in Beverly Hills, most of these coins are problem-free, and most have never been cleaned or played with. There are about 300 coins in each the 120 double-row boxes, so we estimate that there are about 36,000 total in this trade off, which they stated would "easily wholesale for about $250,000 collectively". We spent the better part of a day going through each box and confirmed that they were correct and very conservative in their evaluation. There were many coins worth from $50 to $250 each, and there was not a single "common coin" considering the conditions as well as the dates, in the entire inventory. Of course, there were some $5, $10 and $20 coins, but these are the hard-to-find and under priced D & S mints Mercury dimes and Buffalo nickels in the teens and twenties that are becoming very popular. At our low prices, these alone would average out to be far below wholesale. However, this deal consists mostly of many more higher priced and rare coins that make will make buyers come back for more. 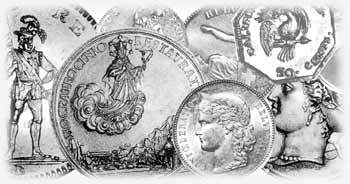 Included are many BU silver dollars and many VF and XF old type coins worth from $30 to $250 each on up each. Several hundred of these were worth enough that they have been slabbed and certified by the best grading services. A conservative average would put most coins at an average wholesale price of roughly $20 each, but since we got $250,000 worth of coins in exchange for what cost us about much less some time ago, we can pass along a tremendous savings without having to spend a fortune in advertising. We can do this by wholesaling these out to our preferred customers at our best "quick sale" wholesale prices, normally reserved only for other dealers. We also save time, labor and loads of money by not cataloging and attributing every single coin individually. It's hard to lose when older, scarcer and better grade coins are offered at under $10 each and go all the way down to only $4.50 per coin!! The more you buy the more time and money we both save. Grades are generally higher, mostly VF to Gem BU 67, some higher, some lower, and with the majority grading XF to Gem BU MS 65 with lots of high grades in between. From all 120 boxes, we pulled ten coins at random (1,200 coins sampled). This random sample included 124 Large cents grading VF to AU, a nice BU 1851 Half Cent along with several others dating from 1794 to 1828 and grading mostly Fine to XF, an 1809 XF Bust half dollar along with an 1803 in VG and many in the 1820s and 1830s grading VF to AU, 174 S mint Seated and Barber coins, including an 1837 No Stars Half Dime in AU, an 1860-S Dime in VF, a 1842-O Quarter in Fine, several nice XF to BU early date Mercury dimes, Lincoln cents and Buffalo Nickels, such as 1917-D, 1920-S, 1921, 1923-S, and 1926-S, a nearly complete set of Gem BU Washington Quarters in the 30s and 40s, 38 Indian cents in the 1860s and 70s, 17 Standing Quarters including a 1927-S in both Fine and VF, 12 other VF-BU Seated and Barber half dollars, including an 1892-S in Very Fine and an 1874 Arrows half dollar in AU. Also found was a nice , an 1897-O Barber dime in VF, a couple of Seated and Trade Dollars in the 1870s, grading nice XF and AU, 22 Fine to XF liberty nickels, including a 1912-S in Fine, a couple of rolls of 20 BU Walking Liberty halves, along with nearly a complete XF-AU set, a nearly complete set of Gem BU Franklins with Full Bell Lines, an 1805 Bust Dime in VG, struck slightly off center, some rare and usual silver dollar error coins, a 1934-S Peace Dollar in Choice AU that many dealers might pass off as nice BU, and 1893-CC Morgan dollar in VF and a 1878-S, Gem BU 65, Ultra Deep Mirror Proof-like. In short, too many too mention and too expensive and labor intensive to advertise. 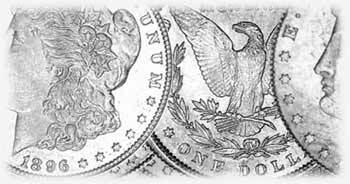 There are so many silver dollars and half dollars in this group that we can safely guarantee that there will at least one nice BU silver dollar for every 100 coins ordered! Order 1,000 coins, get 10 silver dollars, most grading Choice BU 63 to Gem BU 65. Order 10,000 coins and get 100 mostly high grade BU silver dollars, and so on!! No two lots are alike! Money-back guaranteed! Find hundreds of varieties that we don't have the time to search for. Covers half cents from 1793-1857. 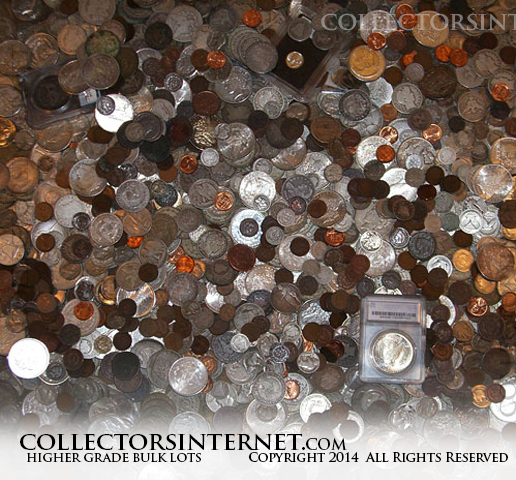 COPPER COIN BONAnZA – MOSTLY HIGHER GRADES 60 to 200 Years Old! One of the favorites for beginners & advance collectors, older copper & Lincoln cents seem to go up in value every month as the Lincoln cent quickly approaches its 100th anniversary. A sample scoop of 100 coins included a nice 1909VDB, many high grade S & D mints in the teens, twenties, thirties, AU & Uncirculated coins in the 40s, early 50s, two large cents, including an 1803, a flying eagle cent, several Indian cents, some well over a hundred years old. Overall, coins appear to average VF & better. To make sure each and every group is a great deal, we will make sure that there is at least one large cent for every group of 100 ordered. 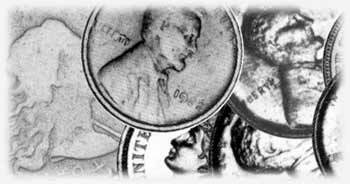 A comprehensive guide to Lincoln cent varieties with pictures of many previously unknown. The author points out how to easily spot varieties, which are merely common and which have value. A complete and thorough treatment and descriptive classification of the early American Cents, from 1793-1814. 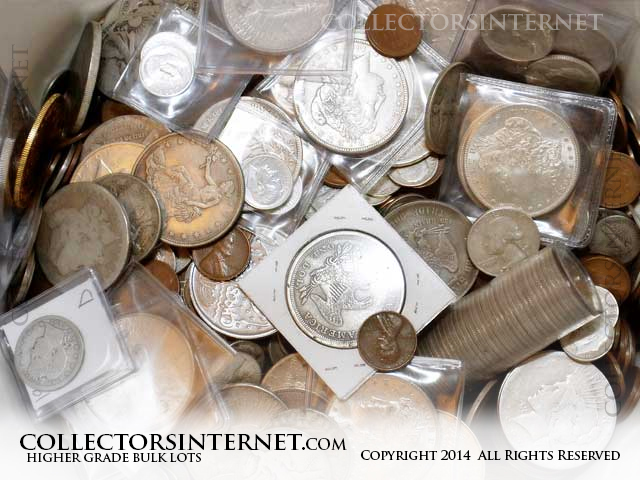 Buffaloes & Other Old Five Cent Pieces, Mostly 80 to 180+ Years Old! Rich in better date and hard-to-find D & S mint Buffalo Nickels in the teens & 20s. Most of these must have been put away in the 40s & 50s, when Liberty Nickels & occasional Half Dimes could still be found in circulation. 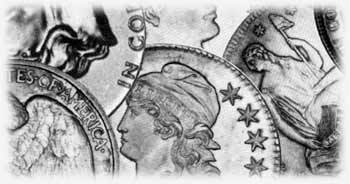 A sample scoop of 100 included an 1834 Half dime, coins in the 1860s & 1890s, lots of D & S mints in the 20s, Silver nickels in early 40s, & Gem BU full step nickels in the 50s, retailing for $15 to $50 each,. 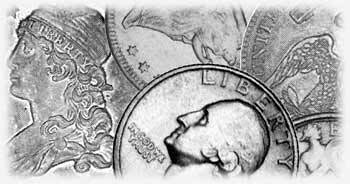 To make sure that all groups are a great deal, we will include at least one half dime or shield nickel for every group of 50 ordered. An order of 10,000 would include at least 200 mixed shield nickels and half dimes, some of which may date back to over 180 years!! Beautiful and fascinating foreign coins that are rich in art and history, from the Medieval period of the 1400s to the 1700s, 1800s, and early 1900s as well as WW1 to post WW2-era coins. An outstanding group of older coins from over 100 different countries throughout the world. 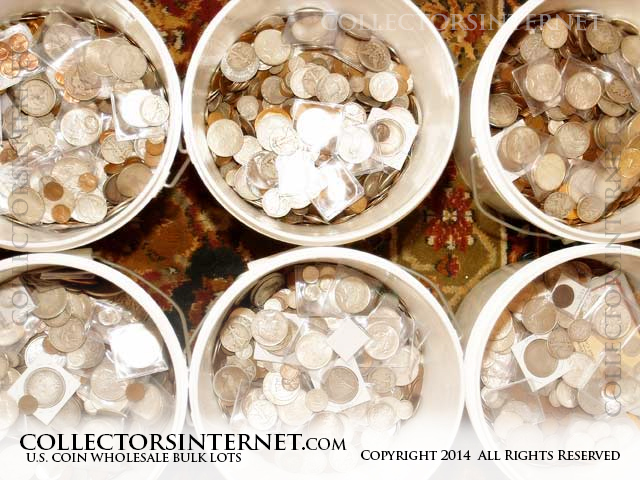 A wonderful mixture of bronze, copper, nickel and silver coins & even gold coins. We know you will be happy with these as dealers order from us time & time again. This is such a great mixture that we guarantee that every 100 coins will have at least one ancient coin about 2,000 years old, AND at least one Asian coin around 1,000 years old, AND at least one Medieval coin from Europe around 400 to 800 years old, Those three coins are a $20 to $100 combined value alone, not to mention many other treasures, mostly 50 to 350 years old. Every 1,000 will include at least 10 times the above mentioned coins, and much more, including at least one 1800s 22k gold token. Ten thousand gets 10 tokens and hundreds of 350 to 2,000 year old coins, etc. Guide to world coinage using alphabetical listings by country. More than 17,000 to-scale photos. Valuations listed for each coin in up to four grades of preservation with date and mint listings and totals. What’s an oddity? Quite simply, it’s a rare coin, medal or token that people hardly ever see. Rare Presidential and Peace Medals, older Olympic medals and tokens, limited edition wooden nickels, hard-times tokens minted in the 1830s and 1930s, unusual mint errors, limited edition silver medals, ornate tokens promoting special interest such as freeing slaves or protecting the Confederacy (Civil War tokens), Casino tokens and chips with $1 to $500 face values. Boxes crammed with anything and everything not normally seen in the Red Book. Just to make sure these are a great deal, we will throw in a Silver-dollar size Presidential medal for every 100 purchased and 12 different such medals for every 1,000 purchased! Some may be unique, some may have only a dozen or so known and some may be worth $5 or $100 or more. We don’t have the time research these, but we do know that they are worth several times our low prices. Catalogs more than 500 know coin substitutes and satirical scrip, and highlights recently discovered information including die varieties and linkages. Values in four conditions. Huge Percentage of High Grade Liberty Dimes - Mostly 60-180+ Years Old! These groups consist of many dimes that are well over a hundred years old. A sample scoop of 100 coins included an 1838, 1874 Arrows, S and O mints in the 1850s to early 1900s, hard-to-find 1921 and 1949-S, several better dates in the teens and 20s, many VF to AU examples in the 30s and a few superb Gem BU 68 and 69 dimes in the 40s. 50s. & early 60s. It appears that about 80% of the entire hoard are Liberty dimes, and at least 80% of these average full Good and better. To make sure each group is a great deal, we will include at least one Seated dime for every 100 coins ordered. For example, an order of 10,000 would include at least 100 Seated dimes – almost never seen in this quantity anywhere. 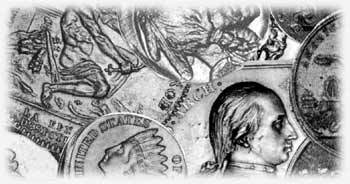 Many Low Mintage Liberties - 90% Silver Quarters – Mostly 60-180 Years Old! 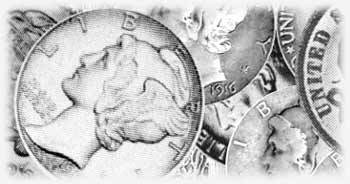 Liberty quarters of all types were often struck in low mintages & it is estimated that 90% were later melted. A scoop of 100 included an 1818, 1853 Arrows, S and O mints in 1890s, a 1917 Type I, several better dates in the 20s & 30s, along with a few superb Gem BU 67 Washington’s in the 40s and 50s. Nearly half of these appear to be VF or better. To make sure each group is a great deal, we will include at least one Bust Quarter for every 250 coins ordered. An order of 10,000 would include 40 Bust Quarters – an almost unheard amount in any dealer’s inventory. An in-depth study of our nation's most popular modern coin, including a biography of America's first president, the early years of the quarter dollar, and the history of the Washington quarter series starting in 1932. 90% Silver with Liberty Half Dollars Galore Mostly 60-180+ Years Old! A photographic and descriptive guide to Walking Liberty half dollar varieties. The Ever-Popular & Under Priced Morgan Dollars – All WELL OVER 100 years Old! Rich in varieties, CC, O and S mints, stored in old rolls, bags and 2x2s. 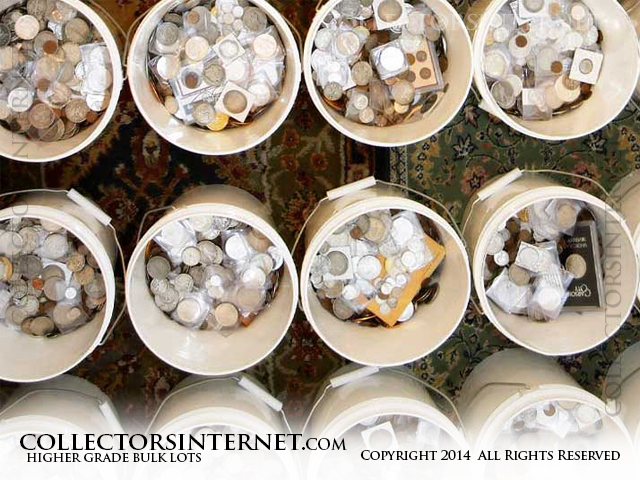 A sample scoop of 50 coins included an 1878-CC, 93-0 96-S, 97-O, & Choice BU Proof Like 1898. Average overall grades are at least VF--AU with many coins grading BU to Gem BU. To make it a great deal, every 200 coins gets at least one better CC mint PLUS one Proof-like! Thus, 1,000 gets you at least 5 CCs PLUS 5 BU PL’s, etc. 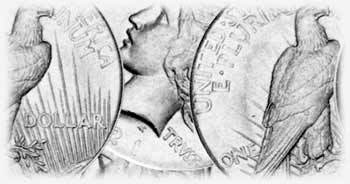 The definitive and most comprehensive reference available on all varieties of Morgan and Peace dollars. Also known as the VAM book. These better dates also appear to be rich in unattributed varieties, CC, O & S mints. A sampling of 50 coins included 79-CC, 84-S, 93-CC, 95-0, 96-S, 99-S, 01-S, 04-S and many Choice BU 63 to Gem BU 65 examples. Average overall grade at least XF-BU with many coins grading Choice BU 63 to Gem BU 66. To make it a great deal, every 100 gets at least one better CC mint plus one Proof-like. 500 gets at least 5 CCs PLUS 10 BU PL’s, etc. 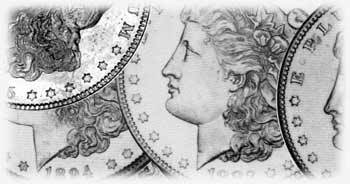 A complete history and price Guide of Morgan Dollar -- the most widely collected classic United States coins, originally struck from 1878 to 1904, and in 1921. Book includes important VAM varieties. Hard to beat at these prices. Like our other lots, these abound in scarce S mints. A sample scoop of 50 included a complete set XF to Gem BU 65, including 1921, 1928 and 1934-S along with many hard-to-find AU and BU examples of 24-S, 27-D, 27-S and 28-S. Many of the other coins grade BU to Gem BU. To make it greater, every 50 coins gets at least one high grade 34-S, every 500 gets at least 10 high grade 1934-S Dollars, etc. We guarantee that overall average grade will be much higher than what would normally be expected at these low prices, with most coins grading BU MS 60 to Gem BU 65. Top 50 Peace Attribution Guide with VAM attribution numbers, a desirability scale, rarity estimates and values in low and high grades.